A luxury performance SUV offering practicality and efficiency. 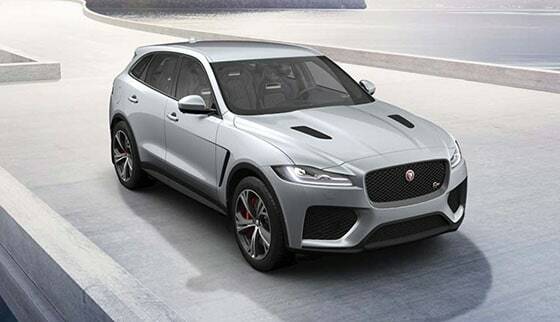 Jaguar F-PACE's are a performance SUV, with the DNA of a sports car. From the bonnet bulge, to pronounced rear haunches; it’s powerful looks make it instinctive and give it a head-turning road presence. It has the capability for every road and the capacity for every day. Whether you’re on the Nürburgring or the school run, F-PACE always delivers sports car entertainment. 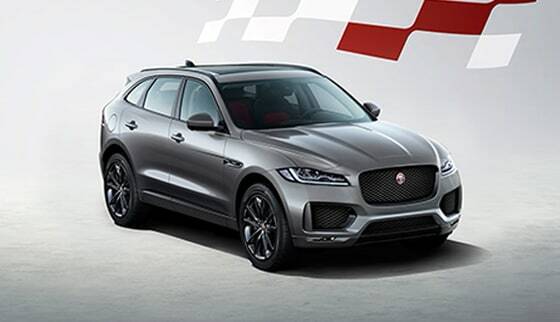 Jaguar F-PACE is a Jaguar for you, a Jaguar for the family. Not only does the F-PACE have class leading fuel economy, it gives you state-of-the-art technology - such as an optional Head-up Display and Activity Key, as well as advanced driving aids to make every journey easier and more relaxed. 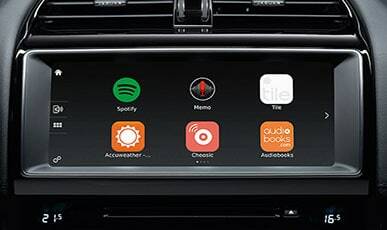 These include the advanced InControl multimedia system, Touch Pro, which keeps you entertained and ensures that you are always connected to the outside world. The F-PACE’s powerful, sleek silhouette is extremely aerodynamically efficient, reducing fuel consumption, CO2 emissions and wind noise, while increasing stability at high speeds. Inside, you’ll enjoy luxurious sporting style and practicality, with a class-leading boot capacity of 650 litres and an impressively versatile 40:20:40 rear seat folding configuration. Traffic Sign Recognition keeps you informed and aware on the road, by displaying speed limits and ‘no overtaking’ signs in the instrument cluster, where they can easily be seen. Adaptive Speed Limiter uses Traffic Sign Recognition information to adjust your vehicles speed accordingly by using the cruise control speed. The optional Head-up Display presents key vehicle data including speed, gear position and navigation directions on the windscreen. 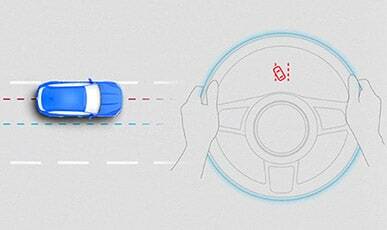 They’re just some of the many sophisticated driver assistance technologies. 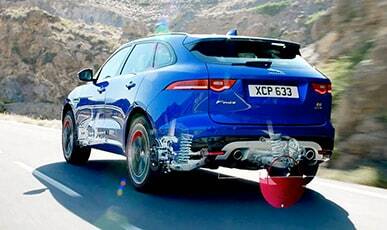 F-PACE’s All Wheel Drive (AWD) system offers a smoother, safer ride on all surfaces. Using Jaguar-developed Intelligent Driveline Dynamics (IDD) software, which reacts intelligently to road conditions, the system is predictive as well as reactive. So it helps prevent the car from losing traction instead of working to regain it. 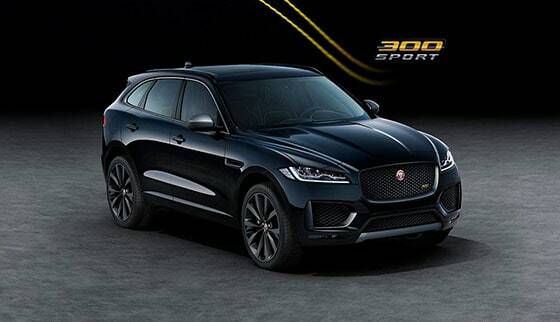 Powered by advanced engines, including a 3.0 V6 shared with the F-TYPE, and based on Jaguar’s Lightweight Aluminum Architecture, the F-PACE delivers a truly blistering performance. 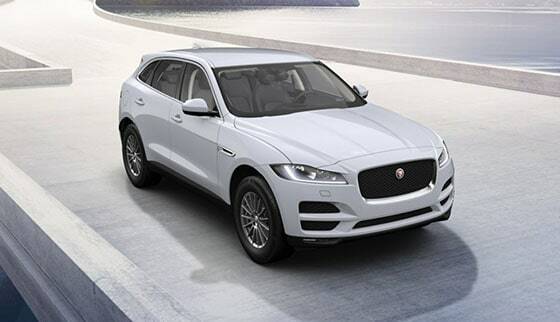 Jaguar F-PACE's offer drivers a unique combination of everyday practicality, efficiency with a distinctive, sporting style. 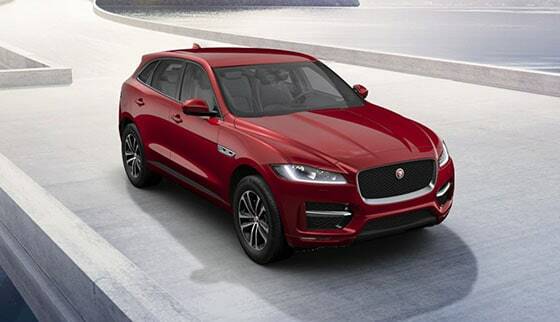 Jaguar F-PACE’s low friction technologies, lightweight body structure and cutting-edge aerodynamics help to deliver reduced fuel consumption and CO2 emissions. Thanks to its practicality, economy and efficiency, you can experience the exhilaration virtually every day. A performance SUV with a beautifully crafted interior including leather upholstery. The pinnacle of F-PACE luxury – elegant, sophisticated and with an array of cutting-edge technologies. Assertive sporting style with an exterior sports trim and specialised sports seats. For sheer sports performance, choose between a 3.0 litre V6 300PS Turbocharged Diesel or a 3.0 litre V6 380PS Supercharged Petrol engine. With a 550PS engine, F‑PACE SVR has been engineered for sheer power, exhilaration and a 0-60mph time of 4.1 seconds (0-100km/h in 4.3 seconds). Now you’ve explored F-PACE’s features and models, find the one for you.